Lesley Paton, Senior Solicitor, is our dedicated Private Client Practitioner. Lesley specialises in Wills Trusts, Lasting Powers of Attorney, Court of Protection and estate administration. Lesley completed her Legal Practice Certificate in 2006 and has specialised as a fee earner in the Private client field ever since. She has worked in-house with banks and large trust co-operations as well as High Street Practices before joining us in July 2017. 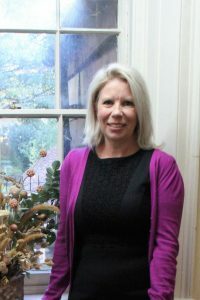 In 2010 she became a full member of the Society of Trust and Estate Practitioners having completed her exams with them and was admitted to the role in 2014. Lesley is well versed in Trust and Estate taxation matters, in acting for high net worth clients and in the preparation and completion of complex inheritance tax calculations. Lesley joined out team in July and heads up our Private Client Section, undertaking Wills, Trust, Probate, Power of Attorney and Deputyship work. In her leisure time Lesley enjoys exercise, reading and spending time with her granddaughter..